At last, my second novel is published – hurrah! I was pondering earlier today when it was that I started writing this book and was horrified to see – from an old blog post – that I started it four years ago, in 2011. Pretty tardy progress considering it’s only novella length! But this is how it goes. Writing is a slow process, interspersed as it is with many distractions. For the past seven months, I’ve had a new, demanding (and brilliant) job, which has reduced even further the amount of time for penning fiction. So it’s even more satisfying that this is now done, in ebook at least – paperback in a week or so. Although it took an eternity to finish, I did enjoy writing this book – a much lighter tome than the last one, infinitely more fun to work on – and now I can let the germ of a new book that’s been festering for a while come to life… I’ll just somehow need to find the time to write it. 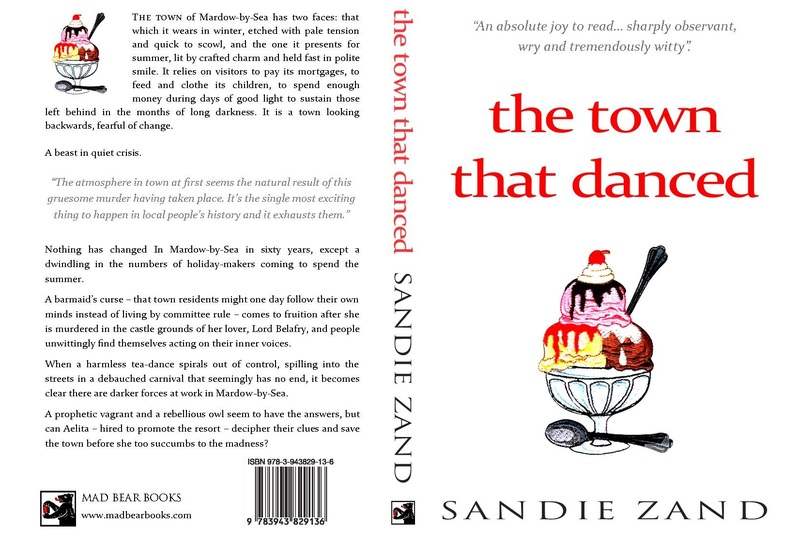 The town that danced is available from Amazon UK, Amazon US and pretty much all the other Amazons too.